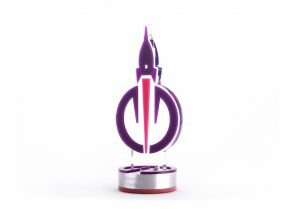 The LaunchPad Award is out of this world! 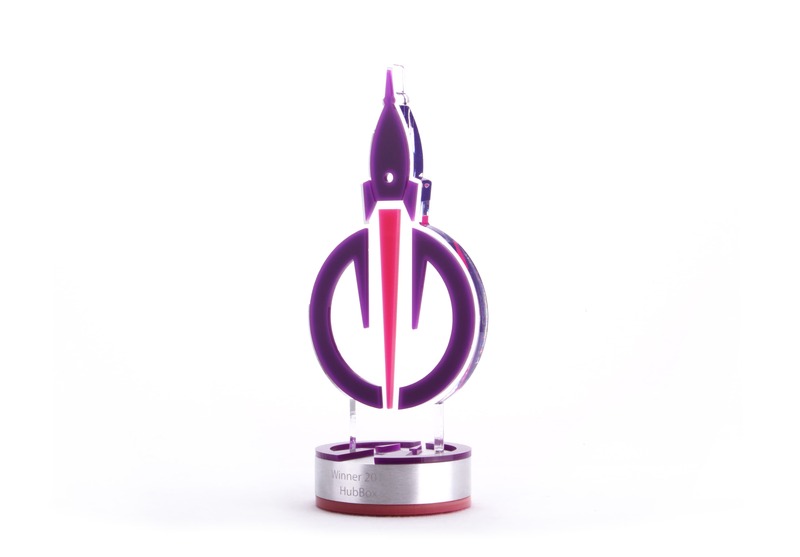 Custom-cut acrylic makes up the rocket shape and branded detail. Held on a piece of clear profiled acrylic, the rocket is shooting out of the base. We created the base using high-quality metal alloy, and complete with a brushed finish. The base is engraved with the winners details, and the date. Additionally, UV Printing adds crisp graphics and the LaunchPad logo. Find out more about the LaunchPad Awards here.